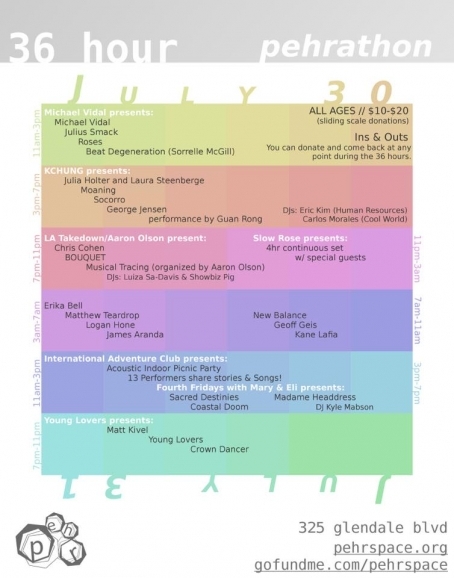 On February 5th, local music collective Diy4lyfe lines an arthouse stage with five up-and-coming bands from disparate cities across Southern California. 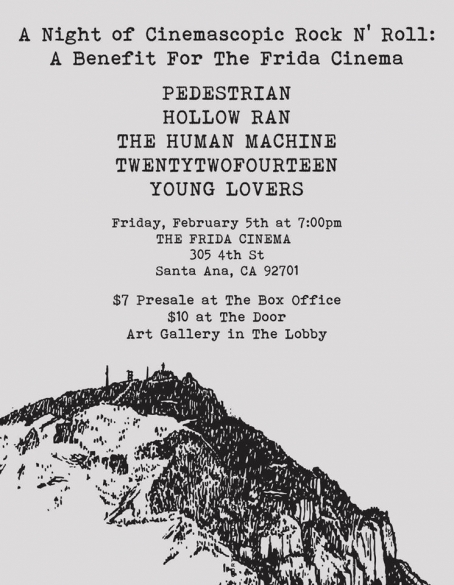 Originally billed as a release party for The Human Machine's Patterns, the event was postponed to add Young Lovers with Hollow Ran, Pedestrian, and Twentytwofourteen (who recently released the "Please Go Quietly" EP). 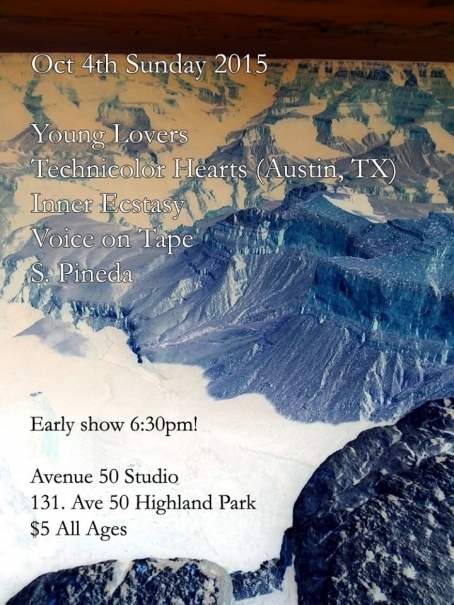 Each band performs with their own projections, along with a special music video premiere by live-loop duo Time and Energy. The show is one of many efforts to fundraise for The Frida Cinema, a non-profit community-driven arthouse cinema in Santa Ana. Founded in 2014 by director and OC native Logan Crow, The Frida Cinema has featured critically acclaimed and underrepresented films for Orange County residents. Last May, Crow announced to LA Times that once the theater developed a solid audience, he would celebrate with a screening of The Room. Godspeed. Musicans have always strived to capture the primacy of human experience — some using tried and true approaches while others play with the strange and eccentric. But for the chamber group Inner Ecstasy, communicating felt truths often involves balancing the classical with the experimental, harnessing the provocative spirits of music's golden age and its avant-garde. Isaac Takeuchi, Vicki Scotto, and brothers Steve and Gabriel Armenta pull from influences spanning centuries apart — from Johann Sebastian Bach and Philip Glass to The Velvet Underground and Sonic Youth — wielding the harmonious and the dissonant to chronicle the voyage of raw emotion. 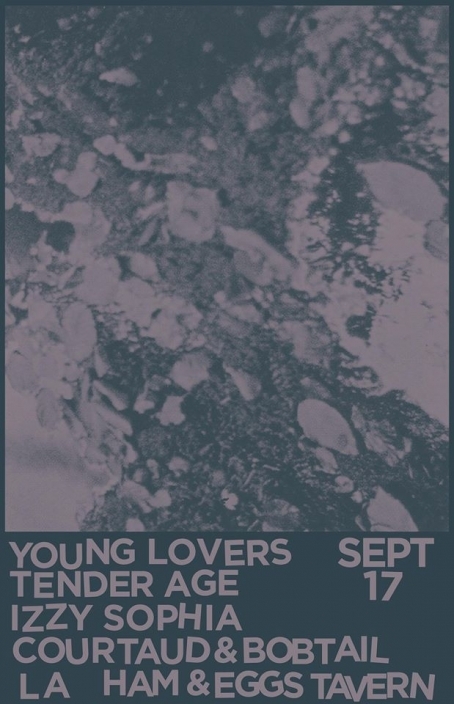 After a first show at the inaugural LAB•FEST in 2013, Inner Ecstasy signed to DIY label Noise Met Sound, where they released their first EP and went on to play with acts like Liphemra and Bür Gür. 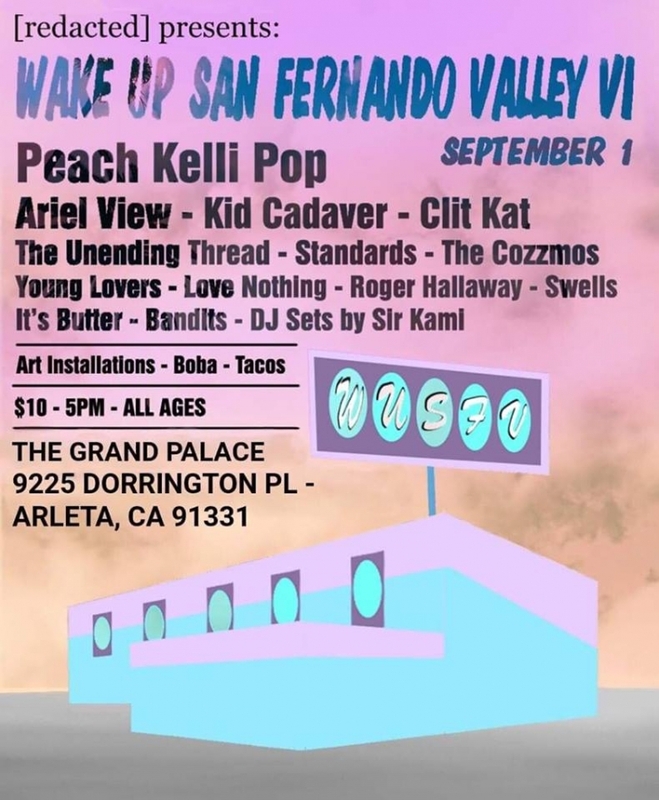 The group has been strong advocates of the DIY music/arts community, supporting venues like the LA Fort and LAST Projects in the past years.